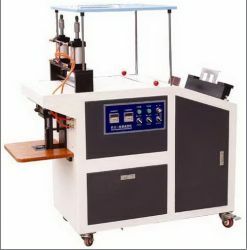 This album equipment is album finishing and forming machine. 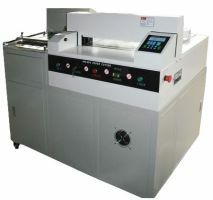 It is a multi-purpose machine to produce with low cost and low investment. 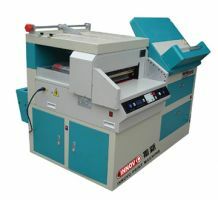 It has 5 functions: tidy, creasing, pressing, angle cutting and heating. 1. Adjustable support advanced dual-cylinder pressure to ensure consistent photo indentation. 2. Deformation produced album is not easy to solve the traditional Korean-page issue of Alice books. 3. In accordance with the thickness of the album, about 15 minutes you can quickly create a Korean version of the album, or high-end Ritz drinks menu. 4. Indentation modulus using standard design, perfect to highlight the effect of the indentation. 6. 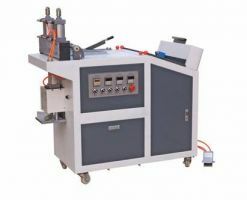 Compacted uniform strength, smooth operation. 9. 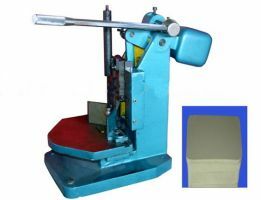 Largest indentation size: 520mm, finishing the largest size: 470mm, the maximum pressure level size: 400x470mm. It is suitable for creating photo album, recipes, seamless cross-page hardcover, photo album, picture album, personalized photo album, etc.